What just happened? Segway, the company behind the famous two-wheeled personal transporter, is adding a new product to its line of self-balancing machines: electric roller skates. The Drift W1 e-Skates are set to be officially unveiled at the IFA tech show in Berlin this August, but the firm has released a teaser video giving us an early look at the devices. The skates use Segway’s gyroscopic balancing technology that’s been found in the Human Transporter since 2002. It allows each skate to feature just one wheel rather than the set of four found on traditional roller skates. 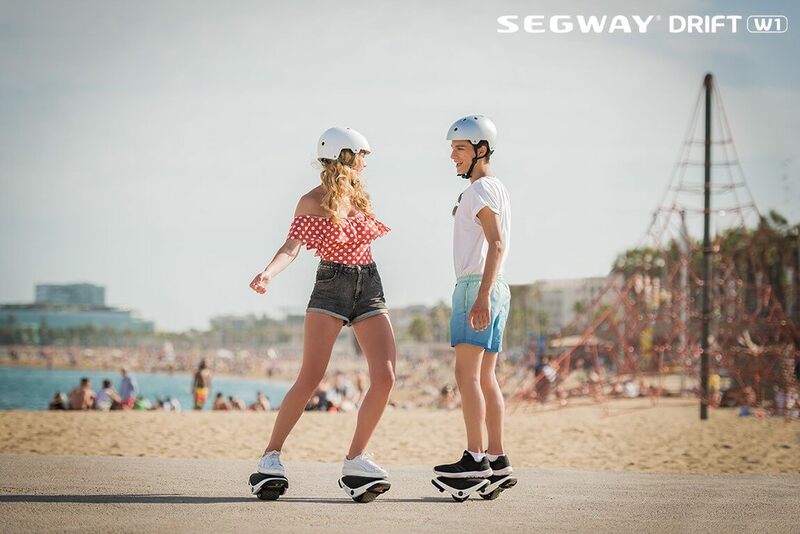 Segway says the black and white devices are “easy to carry, lightweight and small.” And while those users in the video are speeding around and pirouetting with ease, one must wonder just how safe the DW1 e-Skates really are. You may notice that users’ feet aren’t strapped to the skates. While this allows you to jump off should something go wrong or in the case of an impending crash, it will probably make falling while moving a lot more likely. Segway hasn’t released any specs, so there’s a question over what kind of range the motorized skates can manage. These aren’t the only single-wheel, motorized skates set to launch. The InMotion Hovershoes X1 looks very similar to Segway’s product and could give us an idea what to expect with the Drift W1. They have a max range of 7 miles, a top speed of 7 mph, and a pre-order price of $499. If you want something cheaper and more stable, there’s the $99, two-wheeled RocketSkates.